Discussing the undue favor shown to veterans in US political discourse, Garrison Center Director Thomas Knapp noted in a recent article that they shouldn't be excluded from having to back up their arguments with evidence. Often, supposed military heroes like Arizona Senator John McCain (also current Chair of the Senate Armed Services Committee) see their opinions being revered for no reason other than that they "once wore a uniform and collected a government paycheck". Knapp rejects this type of thinking in his April 26 Garrison Center post, instead saying "If you really want to honor veterans, treat us like you treat everyone else. That means requiring us to prove, rather than merely assert, our political arguments." It is worth considering that John McCain, although a veteran, is far from a hero. Much of his notability in Vietnam came from killing his own fellow servicemen during the USS Forrestal Fire. 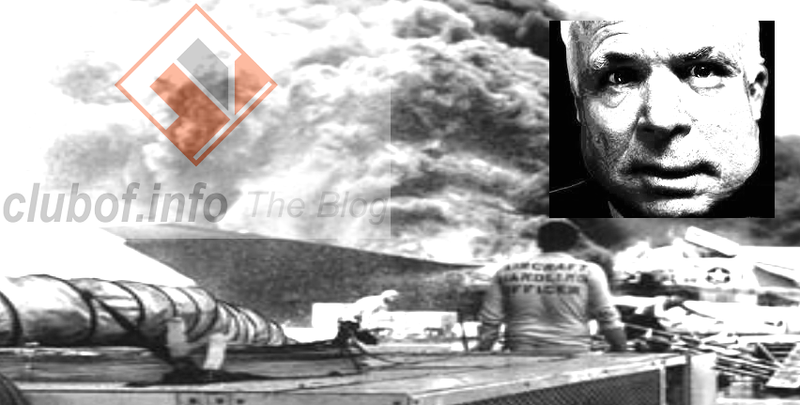 The bombs McCain dropped on US forces in the deadly incident killed 134 Americans, yet many people still consider him a war hero due to his disastrous part in killing hundreds of thousands of foreign civilians in a pointless war.